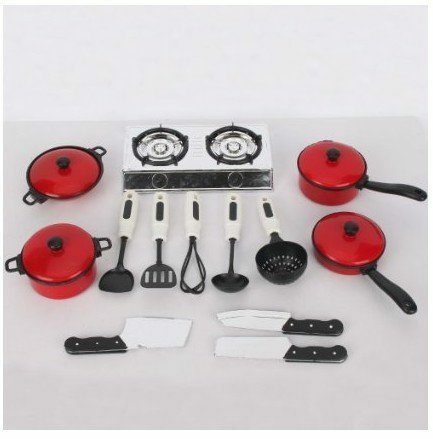 Children's Kitchen Cookware Set Only $9.60 + FREE Shipping! You are here: Home / Great Deals / Amazon Deals / Children’s Kitchen Cookware Set Only $9.60 + FREE Shipping! Children’s Kitchen Cookware Set Only $9.60 + FREE Shipping! Have you been looking for a play cooking set for your children but don’t have a play kitchen? I have just the thing for you! Right now, you can get this Children’s Kitchen Cookware Set for just $9.60 with FREE shipping! This comes with a 2-burner play stove that your kids can use to “cook”!